Thank you Cultivate California for sponsoring this post. Support California farming and learn more here! 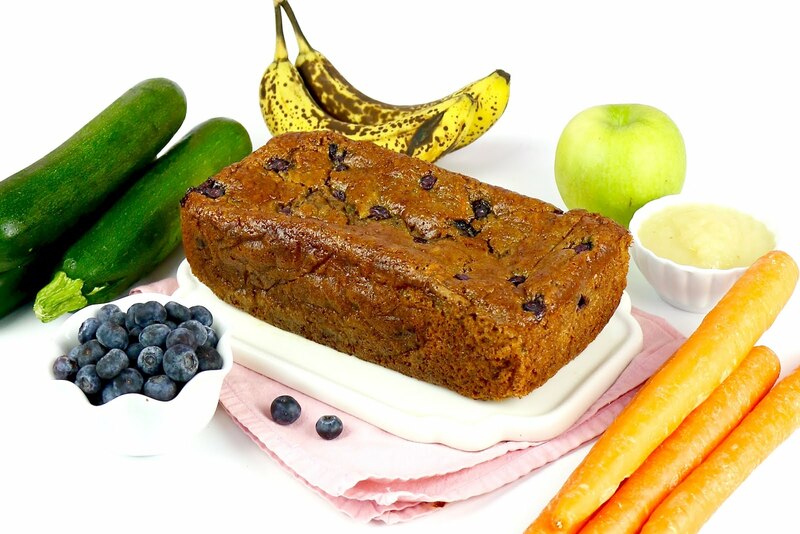 Quick and easy banana, zucchini, carrot bread, packed with fruits and fresh veggies, greek yogurt and locally grown produce, for a healthier alternative without sacrificing the flavor. Baking doesn't always have to be full of fatty ingredients, loads of frosting, and mounds of sugar. 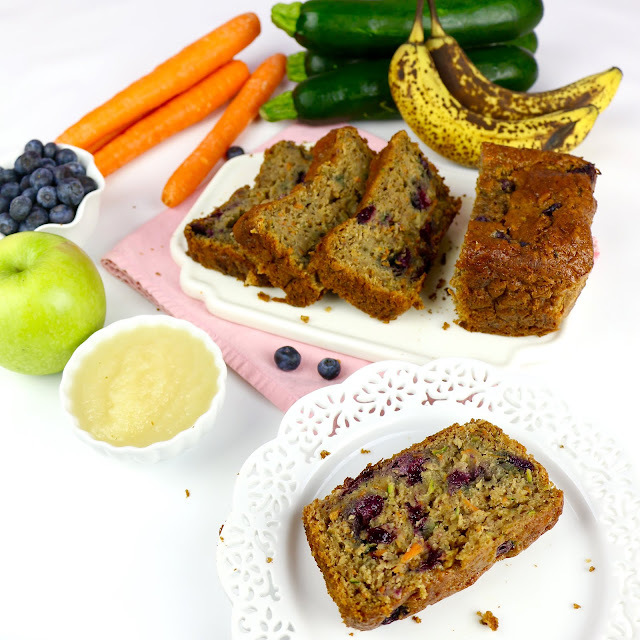 You can actually sneak in tons of great fruits and veggies into your baking and have it still taste like a treat! Even better, use locally grown produce for a really fresh and healthy twist on a classic dessert. This bread comes together in one bowl and is so easy to whip together. 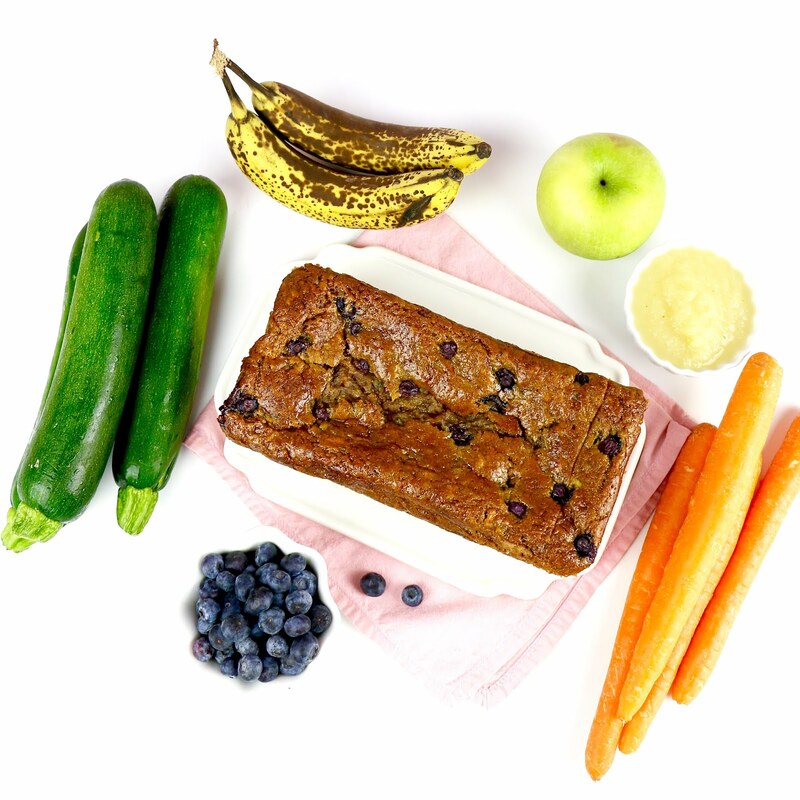 I started with my classic banana bread recipe, and packed with tons of great vitamins and nutrients by using locally grown produce. 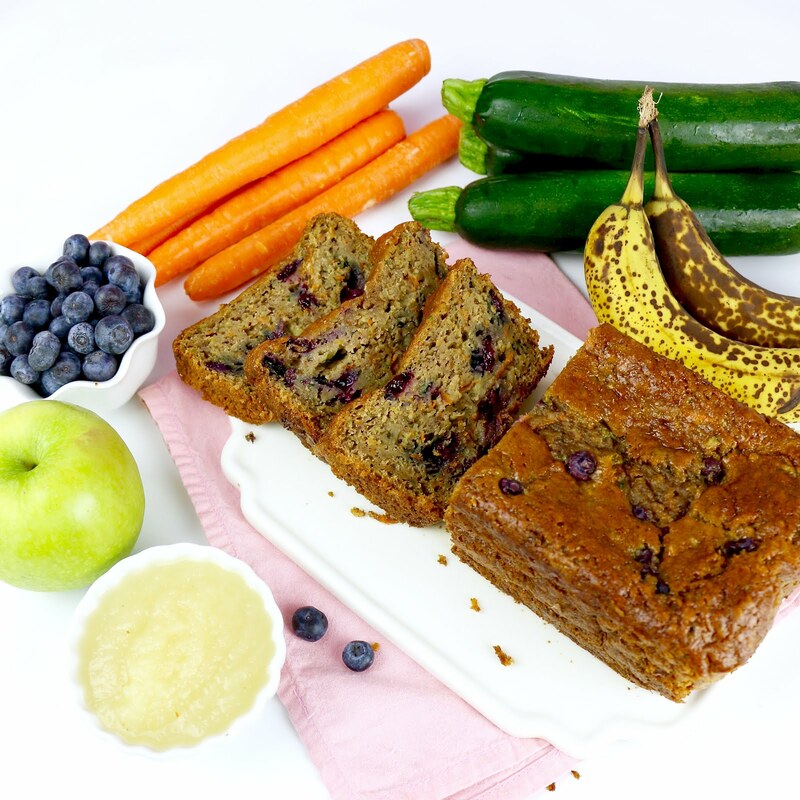 I also cut the fat in half by replacing it with unsweetened apple sauce, for a guilt-free treat, that is ultra moist and flavorful, you would never know all those veggies and fresh fruits were packed in there. 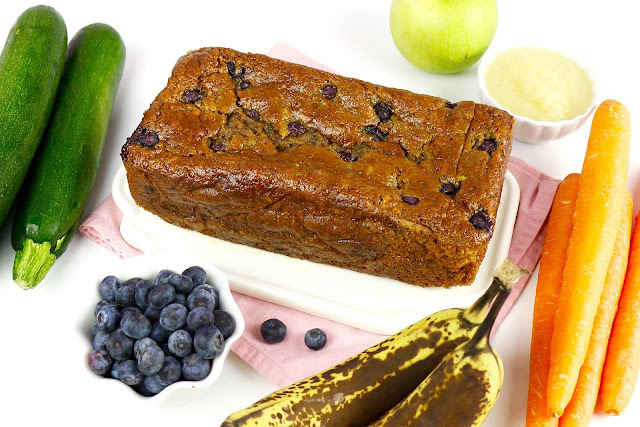 The ripeness of your bananas will determine how naturally sweet your bread is, so make sure your bananas are extra ripe, and I mean R-I-P-E! Think, covered in brown spots, too ripe to eat, about to throw it away, ripe. That means it is at the peak of sweetness, the riper the better! 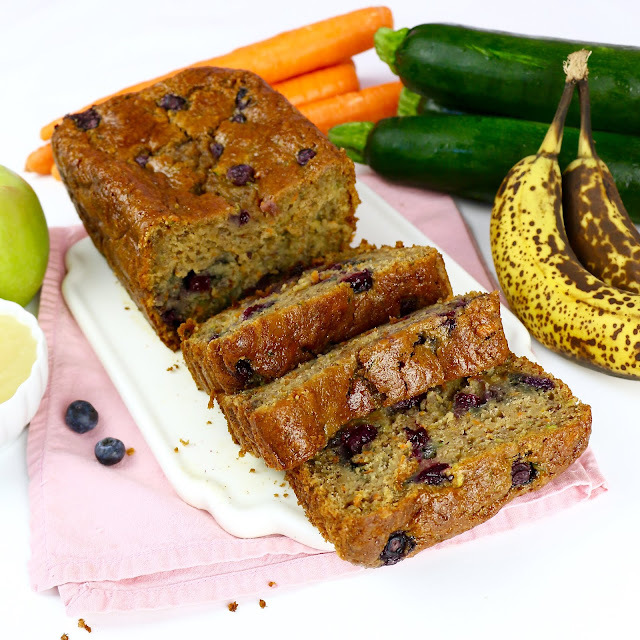 This will ensure the banana is ultra sweet, soft, and packed with a more intense banana flavor, than a regular yellow banana, making them perfect for this recipe! At my grocery store, there are even signs as to which product are California-grown. California grows nearly half of the fruits, nuts and vegetables grown in the U.S. and California farmers and ranchers actually play a critical role in growing the delicious, healthy, safe and affordable foods that feed families across California and the U.S. 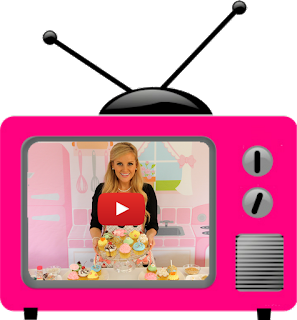 So I was really excited to partner with Cultivate California, to help spread the word about how easy it is to use locally grown foods in your baking for a healthy, and delicious lifestyle. You can learn more about California farming and ranching by checking out cultivatecalifornia.com. Moist, flavorful and packed with feel-good ingredients. Win, win, win! *Ripen bananas in their peels at 300° F for 20-40 minutes, if not overly ripe. Position a rack in the lower third of the oven and preheat to 350°F. Line the bottom of a 9x5 loaf pan (or 3 mini 5-inch loaf pans) with parchment paper or foil and spray with non-stick spray. With an electric mixer, beat together the butter or oil and sugars on medium speed until light and fluffy, about 3 minutes. Add the eggs one at a time, beating about 20 seconds after each addition. Beat in banana, zucchini, carrot, yogurt and vanilla. In a small bowl, whisk together the flour, cinnamon, baking powder, baking soda, and salt. On low speed, beat in half of the flour mixture, about 20 seconds. Scrape bottom and sides of bowl. Beat in remaining flour mixture, until just incorporated. Fold in nuts or chocolate chips, if desired. Pour batter into prepared pan. Bake about 60-90 minutes, or until a toothpick inserted in the center comes out clean (30 for mini 5-inch pans). Cool in the pan for 10 minutes before removing to a wire rack to cool completely. Store at room temperature, in an air tight container, up to 2 days, or freeze for up to 3 months.